There are quite a number of manuals on the basics of how to play a game of mahjong. The amount on strategy and tactics however is limited. Mahjong Time has asked Adrie van Geffen (a3geffen) to share his views in that territory. In the year 2011 he will publish a series of articles with hints and pointers having to do with strategy of mahjong in the different styles (excepting American): Hong Kong (HK); European Classic (EC); Mahjong Competition Rules (MCR); Riichi Competition Rules (RCR); Taiwanese (TW). Below part 1 – Be comfortable. Although you play a mahjong game with three other players you are mostly depending on yourself and for a little on the discards of your opponents. From what you get dealt with you have to create your own opportunities and strike when the moment is right. That means invariably that you have to be confident in your actions. If in a live game you take a tile from the wrong side of the wall you have a dead hand. When that happens you not only are sure to lose but it does take out the fun of the game. Besides that you will annoy your fellow players when you repeatedly let your arm wave over the table, unsure which tile to take. Of course in the automated environment of Mahjong Time you will have no trouble with that. But when you click on the chow-button because you haven’t figured out yet that the game is played anti-clockwise you’d better try the practice room for a while. Knowing the rules also implies knowing how to score. At least when there is a minimum of points or fan required to win the game. Although the other players will gain points when you make a false mahjong, you may have ruined a high score hand of another player. Some players on Mahjong Time set up a trap with the setting of minimum points. They deliberately set the table to a minimum of 9 instead of the regular 8 points for MCR or set 2 yaku instead of 1 at a Riichi table. So always check on the minimum score to make mahjong at a set table. And then be comfortable you know how to reach that minimum by knowing the score of the style you are playing. Apart from knowing the rules you should take care to be comfortable in other ways as well. When playing a live tournament you are restricted in your possibilities. Perhaps a cushion and a drink of your liking but that’s it. And an empty bladder of course. 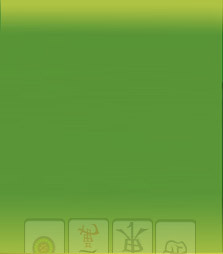 Get familiar with the environment you’re playing in and check the tiles in the mahjong set. It could be embarrassing to put away a bamboo 1 as if it was a flower tile. When you are playing a tournament on Mahjong Time then make sure you won’t be interrupted by family. Take the phone of the hook and shut the door: you are entitled to some time of your own. Put on some music you like, or if you prefer shut down any disturbing noise. Get a drink within reach and maybe something to snack. Get your mind at ease, relax and focus on the game. Because you should approach a game of mahjong as if it is chess. Concentration and being able to focus is of the utmost importance. And of course playing as much as you can will build your confidence. And being confident makes you comfortable.